Jamie and I were at a Foster Parents Summit getting some of the training hours we need to stay approved by the state. 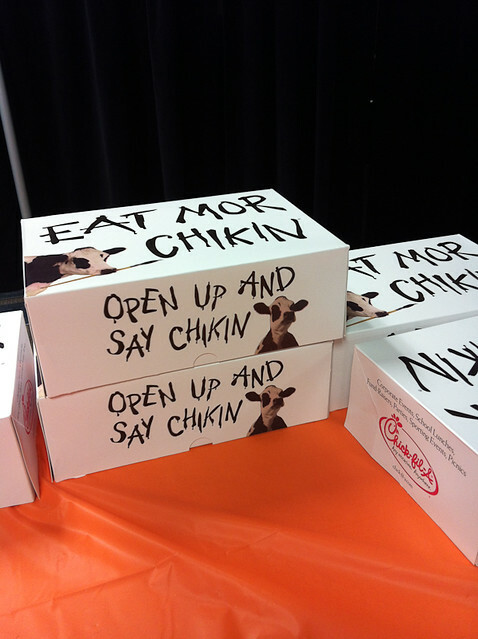 Our lunch was provided by Chick-Fil-A. It was funny the while we were there Lindsey our oldest daughter was at work at Chick-Fil-A. She told me later that she had Chick-Fil-A for lunch and dinner that day. Ah, the joys of working at a restaurant.